The McT Real Estate Group is excited to introduce 3D Matterport Technology and 3D Home Tours to our Real Estate business. It is like futuristic technology but we are experiencing it right now at this present time. It is similar to Google Earth but you are able to walk through the interior of the home from anywhere in the world. This is not your regular virtual tour that people are accustomed to seeing. On many Real Estate Websites, homebuyers are used to seeing virtual tours where photos are stitched together to create a slideshow. Because of this, homebuyers are not always able to figure out the layout of the home and so they will then make an appointment with their Realtor to go see the home that they viewed online in person. Once they are in the home they then figure out that the layout does not work. There is a lot of wasted time both for the home seller and the home buyer. This is completely avoided with the 3D Home Tour. 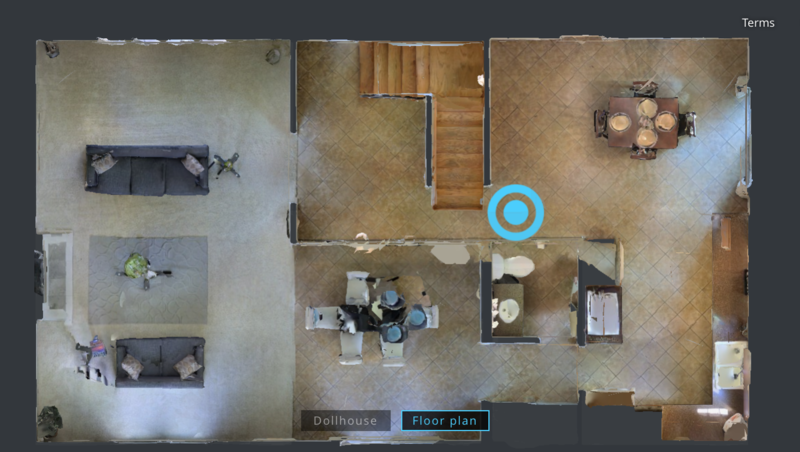 This 3D tour allows the homebuyer to walk through and view every single area of the home including closets, bathrooms, hallways, stairways, floors and even ceilings. Whether you have a one story home, two or more. The buyer is going to be able to view every inch of the home as if they are physically at the property. This will save the home seller and the home buyer a lot of wasted time. There is a Floor plan view and a Dollhouse View. The floor plan view shows the room measurements and includes the view of the furniture in the house, making it easier to figure out how much space is in the room. The Dollhouse view is a 3D version which allows the home buyer to take a look at the inside of the home from an angle and from a distance but still showing all of the walls and room layouts. To experience the wonders of our 3D Home Tours, select any tour from our 3D Home Tour Inventory.